Over the period of his career, Utagawa Hiroshige is believed to have created up to 5000 designs for woodblock prints. This image is from the series 'Thirty-six views of Mount Fuji' (Fuji sanjurokkei) and was released in 1858, the year of the artist’s death. 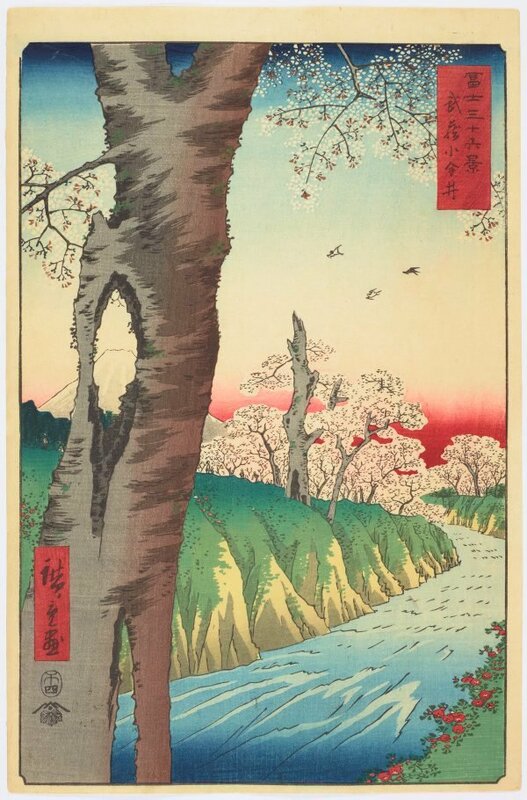 In this spring scene, Mount Fuji is presented framed by the split trunk of a blossoming cherry tree by a fast-flowing river.